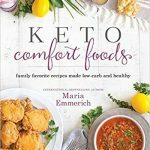 Keto Comfort Foods Releases Today! I’m so excited for my Keto Comfort Foods to be shipped off to all of you today. I can’t wait for all of you to see this beautiful book. I really can’t wait for my parents to see it and read stories from my childhood and how I started down the path to what I have become. AND as a BONUS… most cookbooks have 110-125 recipes and this book is FILLED with over 175 recipes to satisfy your taste buds! I’m competing against a multitrillion-dollar food industry that markets products filled with dyes, chemicals, and sugar to children. Providing cute keto treats keeps my kids happy. 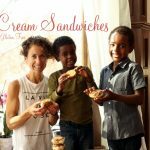 I also teach them how certain foods will make them feel good, be super-smart, and run fast! 2. We live in a society that celebrates with food. What’s the first thing that comes to mind when I say . . .
Thanksgiving: I think of pumpkin pie. Christmas: I think of Christmas cookies and eggnog. Valentine’s Day: Do you think chocolate? 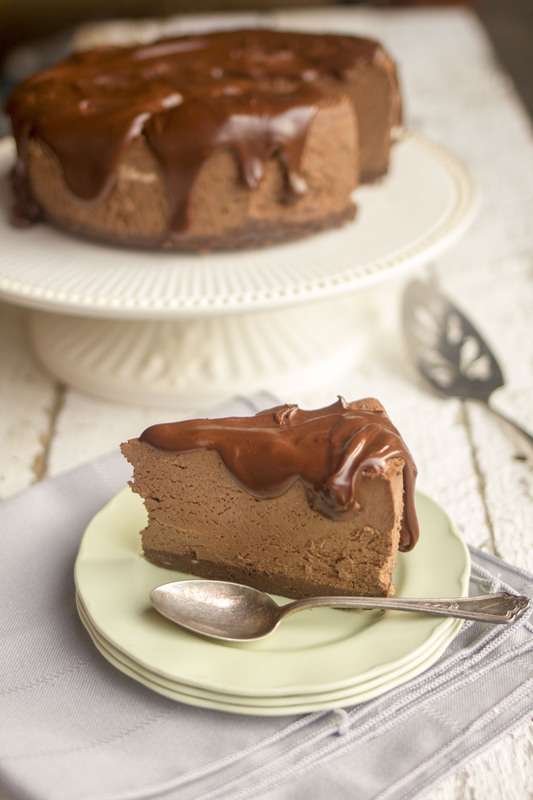 Birthdays: Do you think of cake and ice cream? State Fair: This annual event is synonymous with deep-fried cheese curds, corn dogs, and deep-fried Twinkies! They all bring up images of food! Even when our children learn to go on the potty as toddlers, we reward them with food. Micah always asked for kale chips, but still, food was his reward. I hear all the time from parents who are frustrated when their kids’ Little League team goes out for ice cream after every game. One of my clients sent me a picture of the giant bag of Skittles that her type 1 diabetic second grader was given for scoring 100 percent on her math test! 3. Cooking and baking are my therapy. I love to create beautiful food. I enjoy being in the kitchen on a rainy day. (If it’s nice out, I prefer to be outside on my bicycle or kayak!) I’m not one to meditate on a mat with my eyes closed. I like to think of my cooking and baking time as mindful meditation. Some healthcare clinics and counselors are using cooking or baking as a therapy tool for people suffering from depression, anxiety, and other mental health problems. Sounds crazy, right? But cooking soothes stress, builds self-esteem, and helps curb negative self-talk by focusing the mind on following a recipe. 4. It has helped me stick to this lifestyle for over a decade! If it were up to Craig, I would make meatloaf cake instead of my Death by Chocolate Cheesecake (page 310) for birthdays, but I love dessert. Having keto treats at home helps me say no to a slice of cake at a party. If I never let myself have a treat like keto ice cream (I always have some on hand), I wouldn’t be able to say no to sugar-filled treats. Allowing myself keto indulgences ensures that I never feel deprived. And with the recipes in this book, you will never feel deprived, either! Whether your old favorite comfort foods were sugary desserts or carb-laden bowls of pasta, I’ve got you covered. Enjoy! Click HERE to order on SALE today! 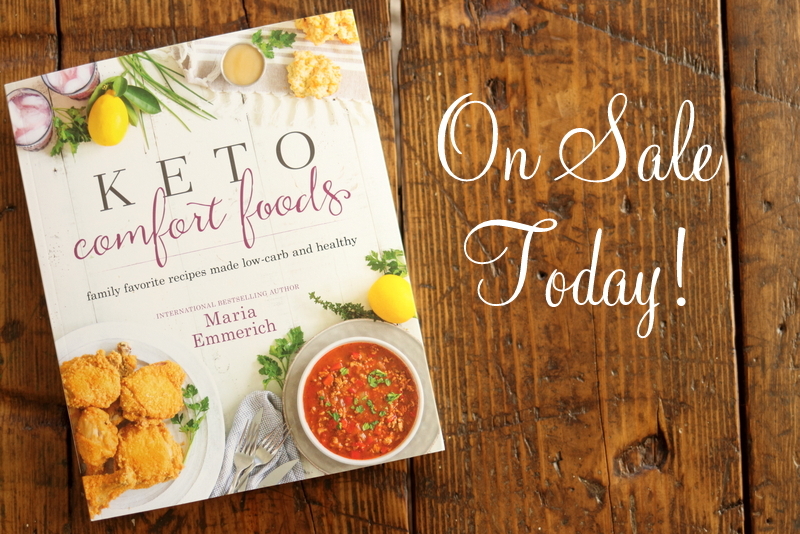 So get your copy of Keto Comfort Foods today! The book is available worldwide at Amazon.com, Books A Million, Barnes & Noble, Indie Bound, Indigo, Amazon.ca, International Orders. 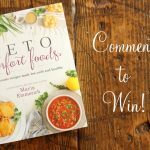 Enter to WIN Keto Comfort Foods! My copy is sitting on my front porch courtesy of Amazon pre-order :). I can’t wait to see it! I got mine! Thank you Maria! Yay!! Mine is scheduled to arrive today!! Waiting for the mail…. Oh, yay! It looks like I will be able to find this at a local book store! A question about the mayonnaise in your Quick and Easy Cookbook. The first time I made it was great. Since then I have tried six times and each time I have had to throw it away because it wouldn’t thicken. I don’t understand. It’s the same recipe, the same ingredients, the same blender, the same… And I’m really frustrated because the MCT oil is expensive here in Germany! Any ideas? Other than this frustration I am really happy with your recipes!! Oh my, you out did yourself on this cookbook. Congrats!!!!!!!! My pre-order arrived today as promised and I couldn’t wait to glance through all the recipes. You sure were generous with all those wonderful looking recipes. I can’t wait to try them. Thank you!! 2 years ago I had a hysterectomy and my metabolism came to a screeching halt. I started packing on the lbs, before I knew it I had gained 15 lbs. I’m 5″2 so every 1 lb I gain looks more like 5. I started the Keto diet, following recipes from your blogs, following your pinterest boards and buying your cookbooks and I’m happy to say that I am back to where I was before. The keto diet is not a fad, it really is a way of life for me. I don’t miss anything from the way I used to eat, you make it too easy not to fall off the wagon. Thank you for continuing to work and provide the very best delicious recipes for all of us. It truly makes a difference in staying on track. You do amazing things! I pre-ordered and the book was already delivered to our business, but it’s my day off so I told my husband to open the package put sticky notes on the recipes that he wants me to try. I’m super excited to try them. Thanks for helping us stay the course! Mine s/b here today or tomorrow. Glad I purchased early. arrived yesterday – it’s gorgeous! congratulations! Mine arrived yesterday, and I will admit that I actually thought about it on and off at work yesterday because I was so excited it would be arriving:-) I love your stories in the first part of the book, haven’t yet gotten to the recipes. I’m sure I will love them as much as I love the recipes in your other books. I will surely leave a review in the next day or so on Amazon! LOVE this book! I have a few weeks of meal plans planned from Keto Comfort Foods. first meal was Grilled cheese waffles and tomato bisque…. OMG soooooooo yummy good! Big hit at my house! Planned on cooking up a storm yesterday BUT a real storm showed up and knocked our power out for almost 24 hours! Love the Keto Comfort Foods book already! I had it spiral-bound at the local printers yesterday and brought it home in time to make the Glazed Chocolate Donuts for my husband (whose macros are much higher than mine). On the Cleanse we were both full after eating California Wraps last night, so we skipped the Warm Spring Salad and later we each ate two of the little donuts instead. They’re delicious! Your donut pan wells are obviously much larger than mine, because I got 12 donuts out of your recipe for 6! Not to worry, I took most of them over to the library today to healthily (and stealthily) treat our staff and volunteers. I will definitely be making more recipes from Comfort Foods for potlucks and the like. I got mine in the mail the other day! I love Maria’s recipes and books. My family loves the recipes!